Skirt: Haute Hippie. Sweat Shirt & Boots: TopShop. I'm a big fan of day time sequins. So much more fun then sequins at night! 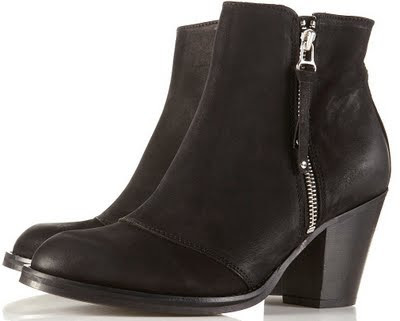 The boots I'm wearing are these beauties from TopShop. Double zipped loveliness- I was powerless to resist. I'm always trying to get my hands on the Acne Pistol boots (always sold out!) and these ones actually seem to fit me better. They've already sold out online but I spied a couple of pairs in the Oxford Circus branch.